First, let’s get this straight: this is not a pet rabbit. Eastern Cottontails (Sylvilagus floridanus) are wild rabbits native to New York – not to be confused with Domestic Rabbits (Oryctolagus cuniculus) that have been bred from European varieties for the pet trade. 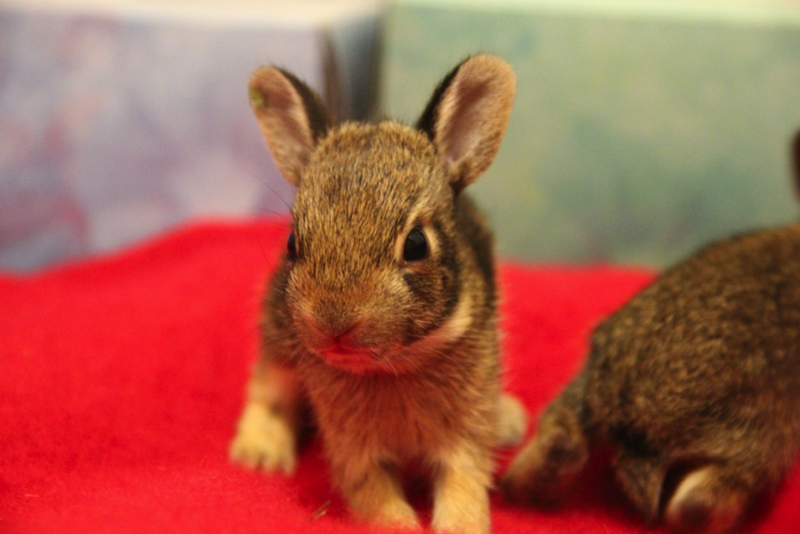 Knowing that has made the difference between life and death for this little bunny, who was brought in with his littermates by a generous employee of the Bronx Zoo. His nest had been built right in the path of a new exhibit, and the mother wasn’t anywhere to be found. Under normal circumstances you would never find the mother anyway. Eastern Cottontails only feed their babies at dawn and dusk, spending the rest of the day foraging. In this case, a Zoo employee had watched over the nest for two days and had not seen her, so he brought them in to the Wild Bird Fund. This is where knowing how to treat Eastern Cottontails becomes very important. Unlike Domestic Rabbits who are used to humans and can live on pellets, Cottontails stress easily, need to be fed a specially formulated diet, and are prone to bacterial infections that could kill them. 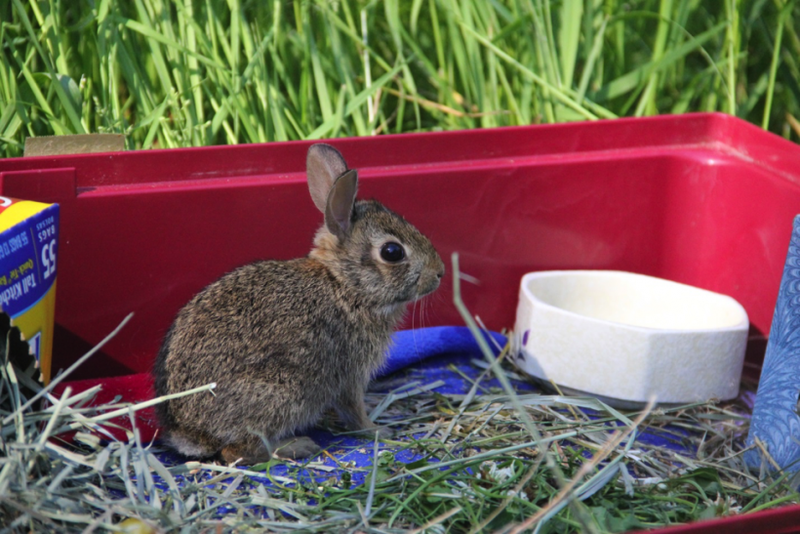 Well-meaning “rescuers” could kill them, thinking they could care for Cottontails as if they were pets. Thankfully our patients were in good hands with our licensed rehabilitators who were able to give them the 24 hour supervision and specialty care that they needed to thrive. They were weaned off of their formula and gradually transitioned onto solid foods that they would find in the wild. Now that they are fully grown and showing the bright white tails and undersides that gives them their name, our Cottontails have been released back to where they were found in the Bronx Zoo. If you see one, don’t worry, it didn’t escape from someone’s home… it finally is home.